North Korea executed four officials from its foreign ministry after Kim Jong-un and Donald Trump’s latest summit failed, a new report has claimed. The officials are said to have been killed by a firing squad in Pyongyang earlier this month after Kim and Trump’s talks in Vietnam broke off without a deal. A Japanese press agency reported that the rumours were spreading through the secretive country after it spoke to a trade official who recently visited North Korea and a source inside the hermit state. 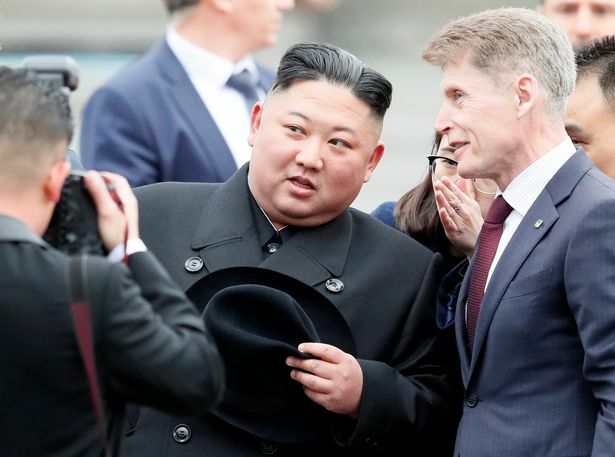 According to the report, North Korea had accused the four officials of selling information to the US before the Hanoi summit, causing it to fail. As he seriously considers a run for president, Maryland Gov. 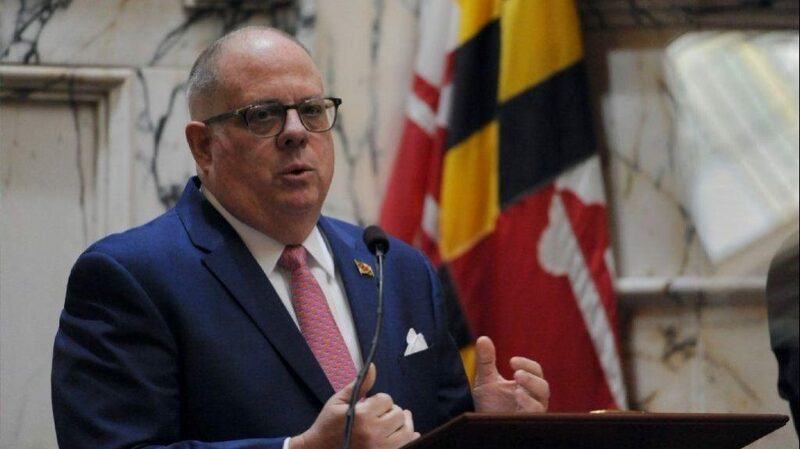 Larry Hogan criticized President Donald Trump on Tuesday over the findings of the Mueller investigation — calling its report “disturbing” and saying Trump narrowly avoided being charged with obstruction. Speaking to an influential crowd of about 100 business and political leaders in New Hampshire, Hogan said a “growing” number of Republicans are urging him to launch a primary challenge to the president — and he plans to visit 16 states while gauging interest in his potential candidacy. 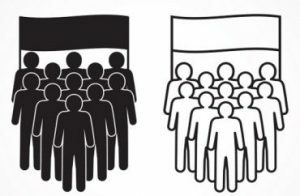 Segregation for me, not for thee. The acting secretary of Homeland Security pushed back on the narrative that President Donald Trump’s border wall is not being built, pointing out that construction has actually been going at an aggressive pace. 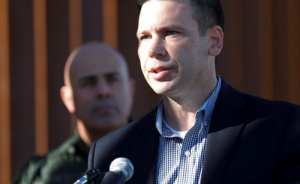 McAleenan — who became acting DHS secretary earlier in April after Kirstjen Nielsen resigned — has been tapped by the Trump administration to lead the agency at a time when the U.S. southern border is experiencing record numbers of illegal migrants, many of them Central American families. Not clear the reason why yet. The crash was reported at 6:40 p.m. at the intersection of El Camino Real and Sunnyvale Saratoga Road, which is located near a number of restaurants and other businesses. Sunnyvale Department of Public Safety Capt. Jim Choi said the driver, an adult male, is in police custody. Officials are investigating the incident as an intentional act due to initial statements made at the scene. “We have preliminary evidence from witnesses that he was accelerating, doesn’t look like he tried to brake at all,” Choi said. CUOMO: Who says it didn’t happen? Russian interference happened. CUOMO: To a criminal level, no says Mr. Mueller. MUKASEY: — to any level. She really has no core. CNN’s Don Lemon asked Harris if she supported comments made earlier in the night by socialist Sen. Bernie Sanders (I-VT), who said that convicted terrorists, including the Boston Marathon bomber, should be allowed to vote in U.S. elections while in prison. Mexico better get the message. CNN nudges the Dems further to the extreme left. So many people personally hurt by the hoax and still being hurt. Special counsel Robert Mueller’s investigation is over, but the aftereffects of the Trump-Russia affair live on. One such aftereffect is the reluctance of some important figures in the 2016 campaign to speak out, for fear of continued legal entanglements. Take J.D. Gordon, who served as the Trump campaign’s director of national security. Never accused of any wrongdoing, he played a central role in one of the most controversial and least understood episodes of the Trump-Russia matter: the approval of the 2016 GOP platform at the Republican National Convention in Cleveland. 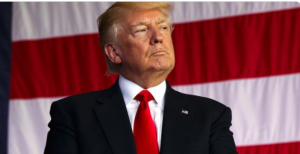 On July 18, 2016, the Washington Post published a story headlined, “Trump campaign guts GOP’s anti-Russia stance on Ukraine.” Below a scandalously erroneous headline, the piece reported that the campaign, acting contrary to the views of “almost all Republican foreign policy leaders,” killed a proposal that the United States provide lethal aid to Ukraine in its struggle against Russia. Why would the campaign do that? Democrats quickly accused Trump of watering down national security, of selling out Ukraine, to please Russian President Vladimir Putin. It got worse. As a media frenzy built, Trump opponents cited the platform as Exhibit A in their case that the Trump campaign and Russia conspired to influence the 2016 election. As the tale went, the Russians helped Trump, he was in their debt, and he paid them back by supporting weakened U.S. policy toward Ukraine. Child abuse whoever did this to this kid. 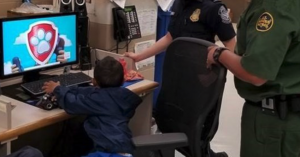 He’s fortunate the Border Patrol found him. And that’s the point of yelling at Mexico, Democrats. Mexican authorities are reportedly cracking down on migrant caravans from Guatemala and Honduras traveling through southern Mexico, and Monday night, Mexican immigration authorities arrested nearly 400 illegal immigrants near the town of Pijijiapan, not far from Mexico’s border with Guatemala. Raids continued throughout the day on Monday, with immigrants reporting they were being “hunted” by immigration official and targeted for deportation back to Central America. This is the second wave of mass detentions. 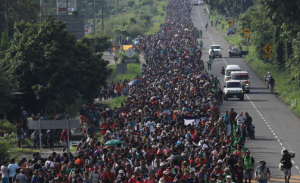 The first came last week near Mapastepec, after the Mexican government closed a visa office there and demanded the migrant caravans turn around and return home or face arrest and deportation. Cher is definitely having an awakening. 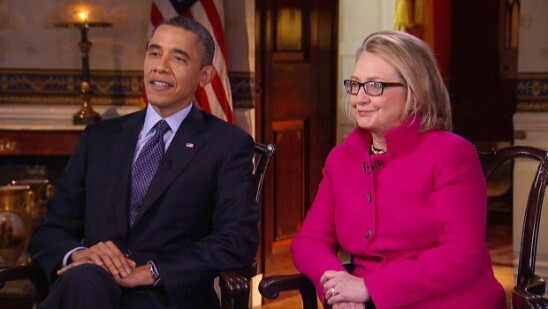 Remember how Obama said he didn’t know about her private email when the news broke? 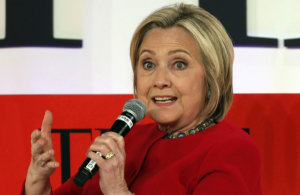 And then remember how the evidence later showed that he not only knew about it but had used a pseudonym when communicating with her on the private server, showing a recognition that it was a problem. And that John Podesta and Cheryl Mills were concerned about this being found out by Trey Gowdy’s subpoena? So where are the emails that Priestap recovered between Hillary Clinton and the President’s office and what did they say? The last person who should be talking.